* FULLY BOOKED * An epic voyage of 70 days! This trip will take you from South Africa, via the Ascension Island to the remote archipelago of the Azores. After that, you will sail back east, bringing the Ship to France. 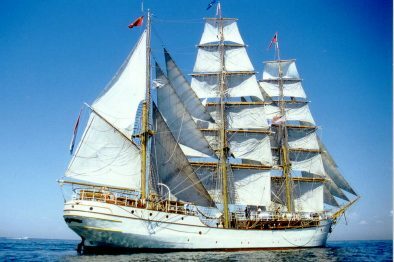 During all this time you will visit amazing places, some of them very rarely visited by tourists, learn a lot about sailing and maintaining a Tall Ship, cross the equator, learn about the scientific research of the oceans and log in approximately 5,000 nautical miles! The journey will end in nothern France, during the Armada Rouen maritime festival. Open to Windseekers of 15 years and older. Places in 2-person cabins no longer available. Cape Town, close to Cape of Good Hope, is a wonderful place where African and European cultures mix and match in interesting ways. The city offers lots of entertainment and fine cuisine, and there is much to see! 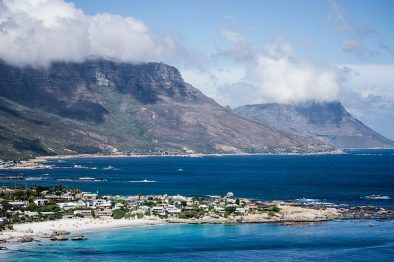 Visit the Table Mountain, saunter along the Victoria and Alfred Waterfront, check out Robben Island where Nelson Mandela used to be imprisoned, and of course no Windseeker’s visit is complete without a trip to Cape Point. If you have time, a drive along the coast is highly recommended! Rouen is a city with long history located on the River Seine in Normandy, North France. It’s also the venue of L’Armada, a sailing festival which will celebrate its 30th anniversary in 2019. 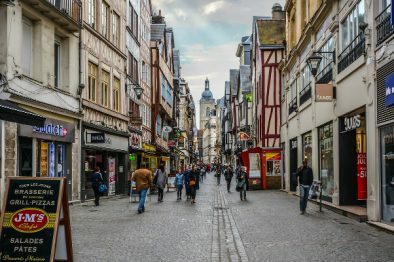 When visiting Rouen you can’t miss the Gothic Cathedral and Palais de Justice. For nature lovers the Roumare Forest just outside the city is the place to be, while art enthusiasts should visit Musee Secq des Tournelles – the wrought iron museum.